With news of a successful raid by the American Army Air Force on the mainland of Japan, many people have questions about the military’s air division, despite the lack of information regarding the raid from sources in Washington. News of the bombing—which is rumored to have been devastating to the morale of the Japanese government and citizens—was obtained only through observing Japanese media outlets. While details about the daring attack remain shrouded in mystery, it is possible to learn more about the airmen themselves. What kind of training do they undergo? What challenges do they face? Most people know that the process is difficult, but few understand the level of strength and dedication that goes into joining the fighting men in the sky. From a young age, exercise and a proper diet must be a part of the airman’s life. Unlike in the land and sea divisions of the military, the air forces prefer their men to keep their weight down. Aside from requiring less spending in the mess hall, a lighter airman means a lighter plane, and the lighter the plane, the less fuel is burned in the process of flying. The Army doesn’t want its men too thin, though. Lose too much weight, and dizziness can overtake the pilot, with catastrophic results. A properly regulated healthy diet, coupled with regular exercise to burn off extra fat and keep the blood flowing smoothly, makes for a superior airman. 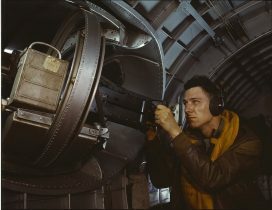 A U.S. airman practices operating the machine gun on a YB-17 bomber. Photograph by Alfred Palmer. From Library of Congress. But experience is also key. Training, for many, may start once the individual enlists; an airman spends months in the classroom to understand the controls and configuration of planes before stepping foot in one. Many colleges even have air programs, so that students can enlist and learn to become airmen as they get their degree. The Army Air Force often expects recruits to be exceptionally well educated; while these standards have been lowered somewhat due to the serious need for large numbers of airmen, the bar still stands high, and the Army Air Force is still one of the best-educated and most intelligent branches of the military. Some prove to be exceptional, though. Lieutenant James H. Doolittle, confirmed by many inside sources as the man in charge of the raid that recently took place in Japan, has proven himself time and time again as an individual well worth his position on this mission. 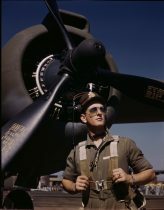 Having been the first man to fly from the Atlantic to the Pacific coast in under 24 hours, and having helped to develop instruments that could enable pilots function in whiteout conditions, he is a credit to the United States, and proved himself, as well as the merit of his men, in their Tokyo raid. Lieutenant F. W. “Mike” Hunter, a test pilot in the U.S. Army Air Force, with a fighter plane in Long Beach, Calif. Photograph by Alfred Palmer. From Library of Congress. Life as an airman isn’t all bombs, explosions and enemy fire, though. Transport is also a key element to winning this war, and one that has been modernized in a groundbreaking way in just a few years. In the past, retrieving large numbers of men involved a process of large ships docking and collecting many individuals, taking up massive amounts of resources and, in the event of attack, losing hundreds of men in a single blow. Now, multiple airmen can do the same in much smaller groups, taking a few dozen men each in a manner of hours to a safe nearby location. This is especially helpful in regard to injured individuals in need of quick medical attention, who may die in the process of spending multiple days on the water. As an additional tactical advantage, it is far more difficult for enemies to attack multiple fast-moving targets, giving transport by air yet another advantage over naval transport in high-risk situations. In the case of important individuals in dangerous areas, this has already proven effective. Generals, when they need to be taken out of an area that may be captured, can be flown out on short notice. 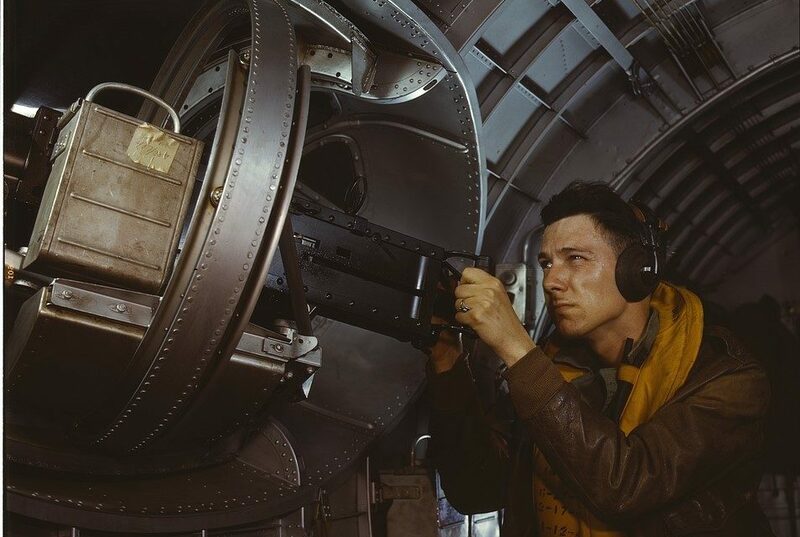 The advantages offered to American forces by air transport are spectacular, and, while they don’t necessarily exceed the advantages brought by airmen who see battle, they have the potential to prove beneficial to degrees formerly thought to be impossible. At the war’s outset, many may have questioned the efficacy of America’s air capabilities. There is no longer any room for doubt. 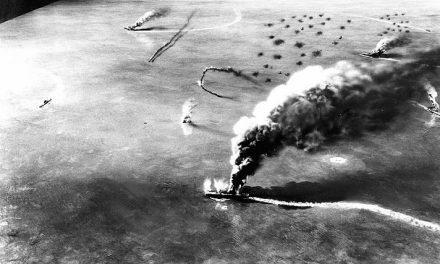 With few resources and a low chance of success, the U.S. Army Air Force managed to do what was thought impossible—it pierced the Japanese line of defense, and it hit them where it hurt. This is not only a massive morale increase for America and the other Allies—especially the Soviet Union and China—but also a testament to the ability of the American military to accomplish the impossible. Life in the air is not easy. It is tiring, the training is difficult, and the risks are great. But the service of the American airman is crucial, and propels America even closer to victory in this new Great War. “James H. Doolittle.” History.com. The History Channel, n.d. Web. 28 Nov. 2016. Wolfgang, Ben. 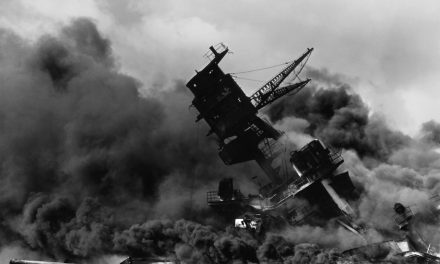 “News of Doolittle Raid Leaks Slowly as Roosevelt Keeps Silence.”Washingtontimes.com. The Washington Times, 12 Apr. 2012. Web. Newton, David. “THE AIR TRANSPORT COMMAND.” Ibiblio.com. HyperWar Foundation, n.d. Web. 28 Nov. 2016. Newton, David. “INDIVIDUAL TRAINING OF FLYING PERSONNEL.” Ibiblio.com. HyperWar Foundation, n.d. Web. 28 Nov. 2016. 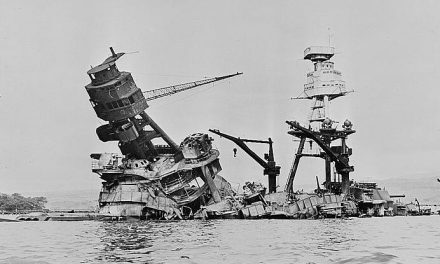 Folliard, Edward T. “Enemy Only Source of News In American Raids on Japan.” The Washington Post (19 Apr. 1942). Major Alexander P. De Seversky. 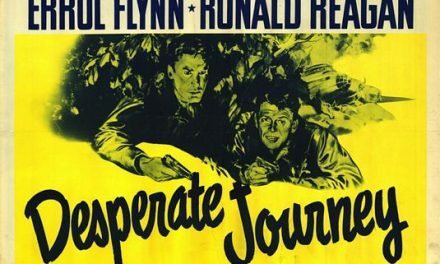 “Americans Have A Natural Genius For Air Warfare.” The Washington Post (26 Apr. 1942).